An ideal travel camera is lightweight, versatile, and captures great images. Point-and-shoots are the smallest and least expensive option, but they have some limitations in terms of image quality. Mirrorless interchangeable-lens cameras have big sensors and are more compact than digital SLRs—any traveler should give serious consideration to going in this direction. Digital SLRs are the bulkiest and heaviest option but capture professional-grade photographs and offer the widest selection of lenses. Below are our picks for the best travel cameras of 2018. For more information, see our comparison table and buying advice after the picks. What we like: A 1” sensor with big zoom, which is a rare combination. What we don’t: Slower lens than other premium point-and-shoots below. The majority of point-and-shoots with large 1” sensors are lacking in zoom, but not the ZS200 from Panasonic. For travelers, this camera pretty much does it all: it’s just over 12 ounces and pocketable, creates high quality stills and 4K video, and boasts an impressive zoom range at 24-360mm. That’s wide enough for landscapes yet can still capture those far-off details that are an important (and fun) aspect of travel photography. For comparison, the Canon G7 X Mark II below is nearly $700 and has much more limited zoom at 24-100mm. 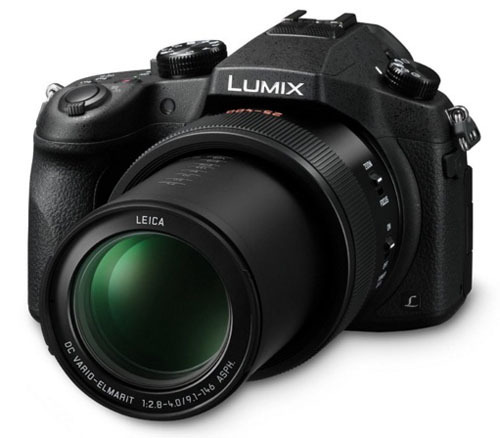 What are the shortcomings of the Panasonic ZS200? First, the aperture of the lens is f/3.3-8, meaning that it isn’t super strong in low light and you’ll have trouble getting the levels of bokeh (the blurry background) that professionals love. Second, Panasonic cameras often are impressive on paper, but Sony and Canon tend to win out in real-world functionality and ease of use. Panasonic user experience isn’t bad, but it just isn’t quite as intuitive as the other big brands. Having said all that, you’ll be hard-pressed to match the versatility and image quality of the ZS200. What we like: Fast lens and more focal length coverage than the Sony RX100 below. What we don’t: No viewfinder and no 4K video. Sony dominated the advanced point-and-shoot market for years, but Canon has come on strong of late with its G Series. The G7 X Mark II is case in point: it’s a really nice option for travelers with a 1” sensor, ample features including touchscreen functionality and built-in Wi-Fi, and a compact form factor that easily will fit in your pocket. And we love the lens, which with a maximum aperture of f/1.8-2.8, is among the fastest on this list. Why is the G7X Mark II ranked here? It was a close call between it and the ZS200 above. The Canon is cheaper and wins out on low light performance and bokeh, but the Panasonic has 260mm more zoom at the telephoto end of the spectrum and therefore is considerably more versatile. For those looking to save, Canon also offers a G9 X Mark II, which has the same image sensor, weighs less at only 7.4 ounces, and is a solid value at just over $400. On the flip side, that camera is more limited in terms of zoom at 28-84mm and has a slower f/2-4.9 lens. What we like: Substantially more zoom than the cameras above. What we don’t: Heavy and expensive for a point-and-shoot. For the versatility of a DSLR without the hassle of carrying around and changing multiple lenses, many travelers decide to go the superzoom route. This is a competitive category including heavy hitters like Sony’s RX10 line, but we like the performance and value of the Panasonic FZ1000. This camera has a 1” image sensor along with a whopping 25-400mm of zoom, shoots 4K video, and has a relatively fast f/2.8-4 lens (fast for a superzoom, that is). For less than $600, you get a whole lot of camera. Superzooms aren’t without their downsides. Most notably, they are bulky and heavy: the Panasonic FZ1000 weighs a hefty 29.3 ounces and has a similar form factor as an entry-level DSLR. In addition, they often cost as much as an interchangeable-lens system. It’s worth noting that Panasonic has released the newer FZ2500, which has extra zoom range at 24-480mm along with touchscreen functionality on the rear LCD, but we don’t like the $1,000 price tag. And at the top end of the superzoom spectrum, the Sony RX10 V has a very impressive 24-600mm f/2.4-4 lens, but that camera is nearly three times the cost of the FZ1000 and too expensive for our tastes. What we like: A solid value for an advanced point-and-shoot. What we don’t: No electronic viewfinder and no 4K video. Sony has released five versions of its high-end RX100 series to date, but the original RX100 still is one of our favorite travel cameras. 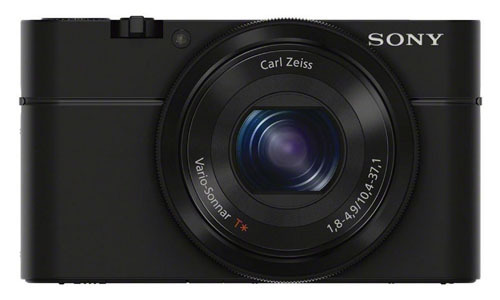 For just under $450, you get a premium compact camera that does just about everything well. Among its features are a large 20.1-megapixel sensor, a fast Carl Zeiss zoom lens, and RAW capability, all packaged in a lightweight and durable body. It’s true that the RX100 is getting long in the tooth, but it still packs a lot of punch for its size and price. Why has Sony dropped in our rankings of late? The 1” sensor market has become extremely competitive and other brands have taken them on in a serious way. The latest RX100 V is fully featured but expensive at nearly $1,000, and the original RX100 isn’t without its shortcomings either. For example, the camera lacks features like an electronic viewfinder (Sony added this on the third version), 4K video, and built-in Wi-Fi. But at $450, we can’t help but love the value. What we like: Huge zoom capability at a good price. What we don’t: Small image sensor. If you want big-time zoom without breaking the bank, the Canon SX720 HS is a nice all-around camera from one of the best brands in the business. 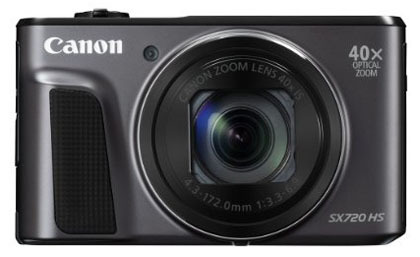 This sleek point-and-shoot is lightweight and pocketable, offers a very impressive zoom range of 24-960mm, and has built-in Wi-Fi for transferring images on the fly. And at just under $300, it’s a highly versatile travel camera at a reasonable price point. 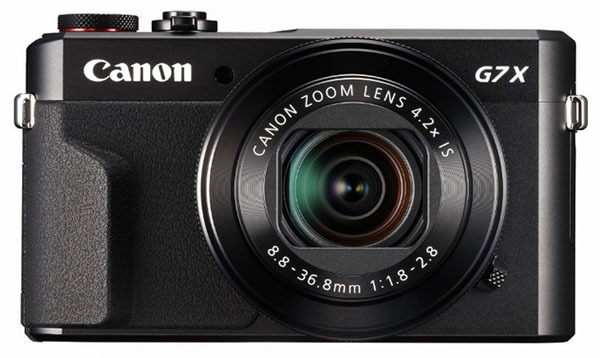 The most glaring weakness of the Canon SX720 is its small image sensor, which is less than one-quarter the size of our top three picks above. This means that despite the 20.3 megapixels, resolution and image quality realistically are limited. In addition, the f/3.3-6.9 lens isn’t great in low light and the camera lacks modern features like 4K video. It’s worth noting that the SX720 has been replaced by the newer SX730 HS, which has the same image sensor and zoom range, a few more features including a tilting LCD screen, and costs $399. Both are quality cameras but we think the older model is the better value. What we like: The image sensor and lens quality can’t be beat. What we don’t: The most expensive point-and-shoot on this list. At nearly $1,300, the Fujifilm X100F isn’t for the faint of heart. This ultra-premium compact is designed for professionals and enthusiasts looking for a smaller alternative to their interchangeable-lens kit. Most notably, the X100F sports an extra large APS-C image sensor, which is the same size as you’ll find inside many DSLRs and mirrorless cameras. In addition, the 23mm f/2 lens is fast and sharp—the X100F can produce beautiful color rendition and bokeh. 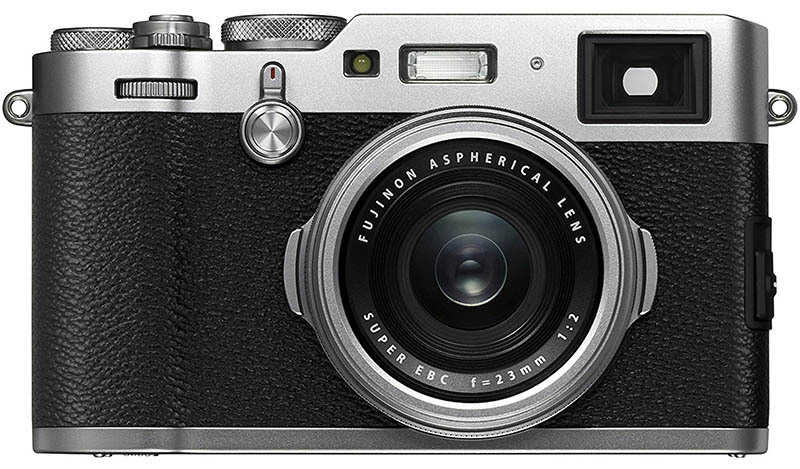 Finally, Fujifilm has fine-tuned this camera (the X100 is now in its fourth iteration) with things like Wi-Fi, advanced autofocus, and faster shooting at 8 frames per second. Despite all of the upsides mentioned above, the X100F remains a niche camera. The lens is fixed at 23mm, which means no zoom at all (this is perhaps its biggest downside for travel). Further, the camera has a retro look and feel that photography purists will appreciate, but it’s certainly not for everyone. 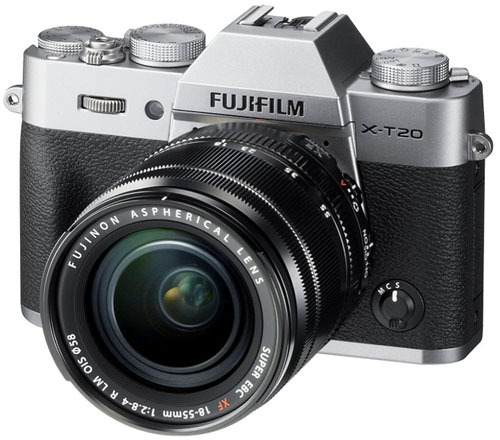 And last but not least, you can get a solid mirrorless camera for $1,300 (Fujifilm’s own X-T20 below is $899, for example). But we can’t help but love the compact size, simplicity, and image quality of the X100F, which is why we’ve included it here. What we like: APS-C image sensor for much less than the Fujifilm X100F above. What we don’t: The fixed lens isn’t for everyone. The Ricoh GR II is unassuming but should not be overlooked: it’s one of the premier point-and-shoots on the market for street photography. We’ll start by mentioning that similar to the Fujifilm X100F above, the GR II has a fixed lens at 28mm, meaning that you get no zoom whatsoever. What is the tradeoff? An APS-C image sensor, which is the same size as many interchangeable-lens cameras (and just under three times the size of the highly touted Sony and Canon point-and-shoots above). All of this image quality comes in at just 7.8 ounces total. The fixed lens concept on the Ricoh GR II is polarizing: 28mm happens to be a great focal length for walking around major cities while traveling. And as the saying goes, “If you need more zoom, just take a few steps forward.” At the same time, we prefer the 23mm focal length of the Fujifilm as the wider perspective allows for better outdoor photography, not to mention the lens on the Ricoh is slower at f/2.8. But the Fujifilm is more than double the price, which makes the Ricoh an attractive fixed-lens option for serious photographers. What we like: Lighter and smaller than the X-T2 but with very similar image quality. What we don’t: No weather sealing. The mirrorless camera options are vast in 2018, but you would be hard pressed to find a better model for travel than the X-T20. Fujifilm’s image quality and color rendition are superb, the camera weighs just over 13.5 ounces (without a lens), and it has the same image sensor as the pricier X-T2. Further, the current collection of X-Mount lenses is terrific, including the very respectable 18-55mm f/2.8-4 offered in a kit with the X-T20. What do you sacrifice by going with the X-T20? It’s not weather sealed, unlike some of Fujifilm’s higher-end models like the X-T2 and new X-H1. This isn’t a deal breaker for us, but it definitely can matter when spending extended periods of time outdoors. And although Fujifilm video quality is improving, traditionally it has lagged behind other mirrorless camera manufacturers like Sony and Panasonic. These issues aside, the X-T20 is compact, produces great images, and is reasonably priced, making it a winner in our book. What we like: A tremendous value. What we don’t: Isn’t weather resistant and lacks 4K video. It’s true that the Sony a6000 is a few years old and counting—it’s an oldie but goodie—but we love the price at around $550 with a kit lens. Most importantly, you get a 24.3-megapixel APS-C image sensor, fast shooting at up to 11 frames per second, built-in Wi-Fi and NFC, and a weight of just over 12 ounces. For travel and other uses on the go, it’s another compact mirrorless camera that can produce excellent images and videos. As mentioned above, the a6000 is a past generation model and Sony subsequently has released both the a6300 and a6500. What do you sacrifice by going with the older version? The camera lacks features like in-body image stabilization, weather resistance, and 4K video, all of which are relevant. But the a6500 is double the price at $1,098 for the camera body, plus the cost of lenses. If you can afford it, the a6500 is a terrific camera, but the a6000 is no slouch and a tremendous value while supplies last. 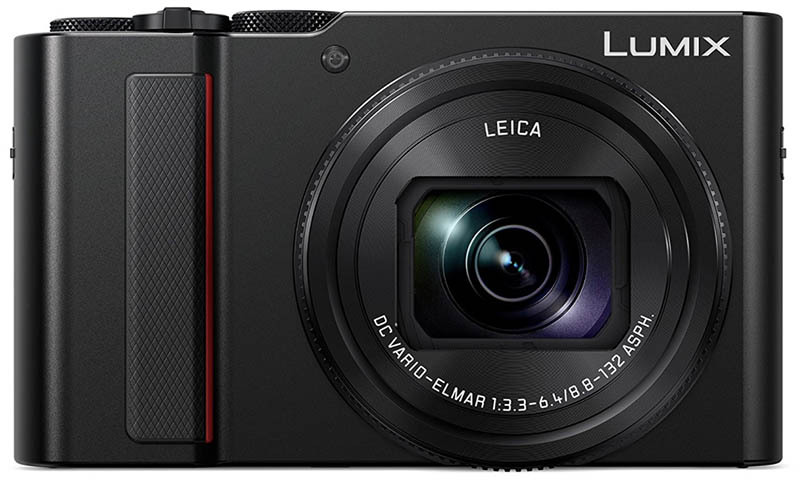 What we like: Our favorite Micro Four Thirds camera for travel. 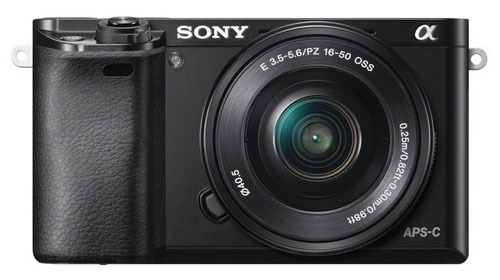 What we don’t: Pricier and heavier than the Sony a6000 above. 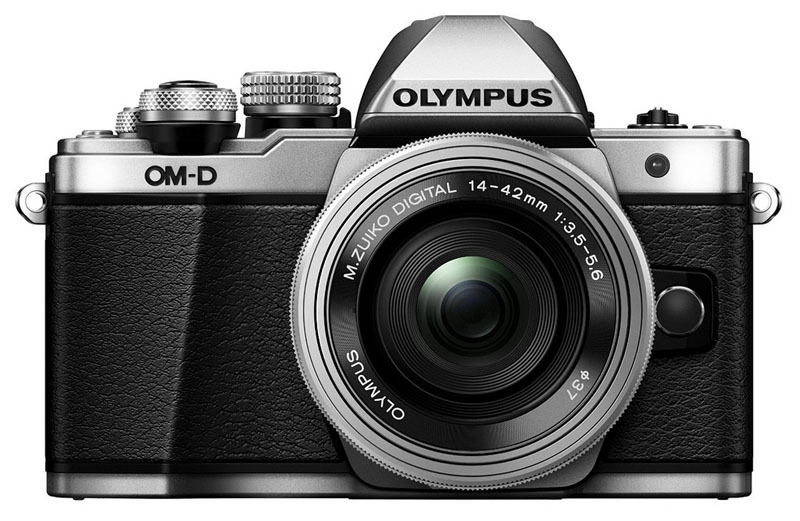 Olympus has made some of the top mirrorless interchangeable-lens cameras for years, but high-end models like the E-M1 Mark II and E-M5 Mark II lines are expensive and a tad heavy. Enter the E-M10 Mark II, a more affordable option that offers Olympus’s signature image and video quality for just over $500 with a kit lens. At only 13.8 ounces, this camera is easy to carry for travel and comes loaded with features like an electronic viewfinder, a tilting LCD screen, and built-in image stabilization. We hemmed and hawed about whether to include the E-M10 Mark II or newer Mark III here (newer isn’t always better when you take price into consideration). The older model currently is $180 cheaper with the same kit lens, and unless you frequently shoot video, none of the upgrades are particularly groundbreaking. The new model does have a more approachable menu system and user experience overall, but that wasn’t enough to sway us. If you value the 4K video, go with the Mark III. But for most travel and still photographers, we still like the Mark II. What we like: Weather sealed. What we don’t: The same sensor and processor as the X-T20 but quite a bit more expensive. 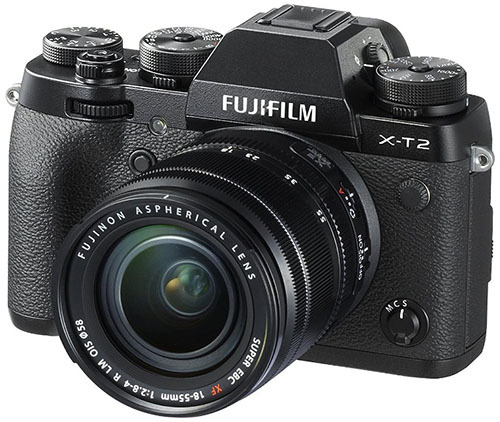 The Fujifilm X-T2 is the more advanced and heavier sibling of the X-T20 above. If you don’t mind the extra cost and weight (the X-T2 is more than 4 ounces heavier), this is an absolutely stellar mirrorless camera. Most importantly, you get weather sealing that helps keep your camera protected on the go. The X-T2 also boasts a higher resolution LCD screen, the ability to add a battery grip, and an extra storage slot. But again, it’s the weather sealing you’re really paying for here as the image quality and autofocus are the same. Regardless of which Fujifilm model you choose, the X-Mount lens options are strong and particularly the primes. This equates to a relatively small set-up that will be unassuming yet powerful, a nice combination for travel. Like the X-T20, video quality on this camera has improved over the X-T1 including 4K, but it’s still not quite up to Sony and Panasonic standards. But it’s a favorite of ours for stills. What we like: The best mirrorless camera on the market. What we don’t: Very pricey, and so are the lenses. For those who aren’t intimidated by the cost and weight, our favorite mirrorless camera of 2018 is the full-frame Sony Alpha a7R III. The older a7R II was extremely impressive in its own right, but the latest version boasts superior autofocus and image stabilization, touch functionality on the rear LCD (we’ve found this to be super helpful), and a fast burst rate at 10 fps. Importantly, Sony also uses a newer battery type here, which has more than doubled the battery life. We recently took the a7R III on an extended trip in Patagonia and couldn’t have been happier with the image quality or features. What are the shortcomings of the Sony a7R III? At over $3,000 not including lenses, it certainly is an expensive set-up that is reserved mostly for professionals and enthusiasts with big budgets. 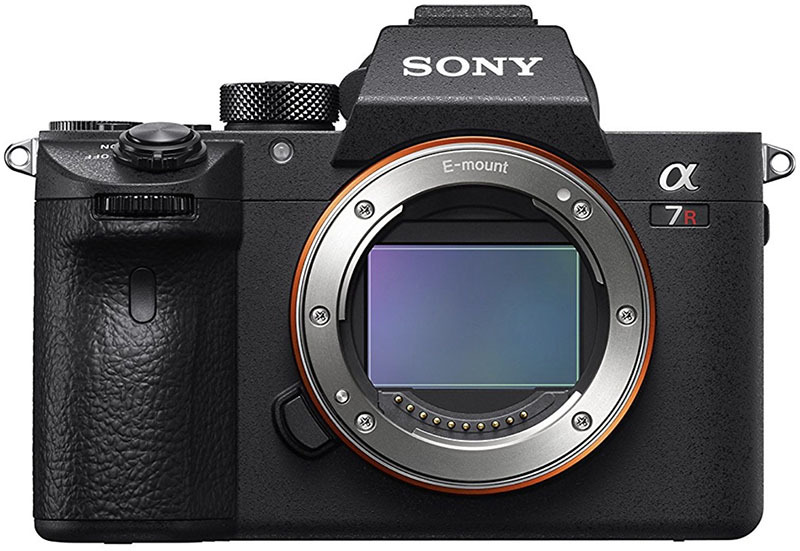 For those who want to spend less, Sony recently released the a7 III (no “R”), which only has 24.2 megapixels but many of the same features as the a7R III. If you don’t plan on enlarging your prints to massive proportions, 24.2 megapixels may very well do the trick and will save you roughly $1,200 in the process. What we like: A great value for an entry-level DSLR. What we don’t: Lack of features compared to Nikon’s pricier DSLR models. Digital SLRs are larger in size than their mirrorless counterparts, but it’s tough to argue with the image quality for the price. For around $400, you can get one of Nikon’s leading entry-level DSLRs with an 18-55mm lens included. The D3300 does a nice job for both still photography and videos, and Nikon’s selection of DX-format lenses is extensive. In this price range, it would be tough to find a better camera of any type. What are the shortcomings of the D3300? 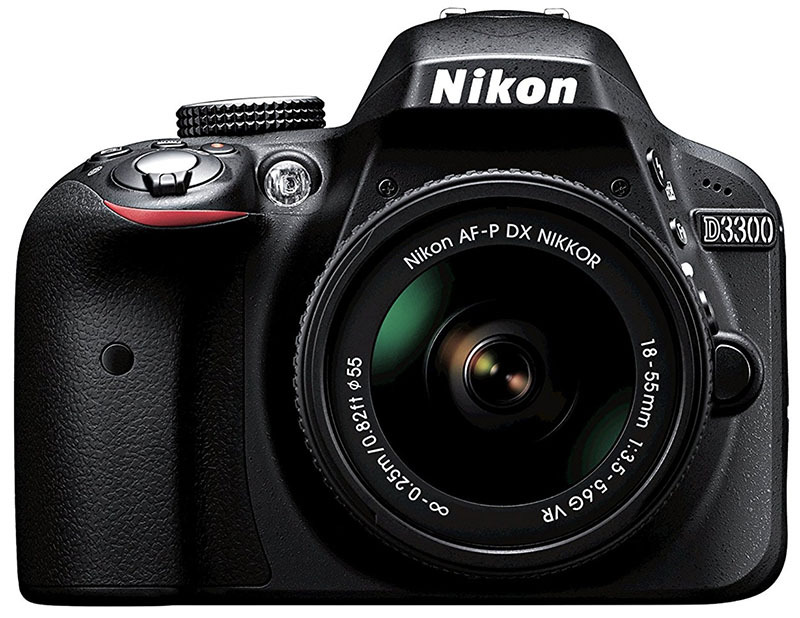 The low price is great, but it means that you get the fewest features of any Nikon DSLR. The rear LCD doesn’t articulate, autofocus is relatively basic, and the camera is not weather sealed for protection from the elements. It’s also lacking modern features like built-in Wi-Fi, but importantly, the camera has the same image sensor as many of Nikon’s more expensive entry-level DSLRs. For those looking for a travel DSLR on a budget, the D3300 is a nice option. What we like: Tons of features and shoots excellent video. What we don’t: Pricier than the Nikon D5500. 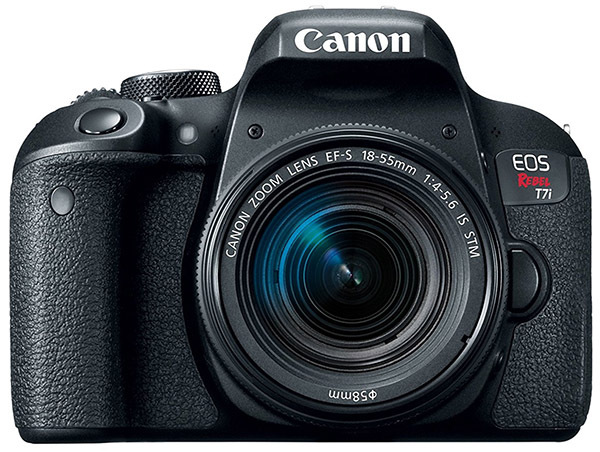 Canon’s Rebel series is extremely popular and has become virtually synonymous with quality entry-level DSLRs. For 2018, the T7i is the latest rendition and an impressive camera overall. Despite having the same 24.2 megapixels as its predecessor, it adds a host of handy upgrades including superior autofocus, faster shooting at 6 fps, longer battery life, better low light performance, and built-in Bluetooth. Along with Canon’s easy-to-use functionality and great video quality, the T7i should make most travelers happy. Keep in mind the Canon Rebel T7i is pricier than its Nikon counterparts, like the Nikon D5500 and D3300, and a bit heavier too. You can save with the Canon Rebel SL2 (14.3 ounces and $599 with an 18-55mm lens), but that camera has inferior autofocus by a wide margin and slower shooting speeds. And the trimmed-down Rebel T6 (no “i”) is the most basic of the bunch but still makes a viable budget option at $450 with a kit lens. The bottom line: video shooters love what Canon has to offer, but it’s more of a toss-up with Nikon for stills. What we like: Impressive resolution and weather sealing. What we don’t: Heavy and limited lens options. Pentax doesn’t have the brand recognition of Canon or Nikon, but its DSLRs are competitive pretty much across the board. In addition to the weather sealing that Pentax is known for (you’ll have to spend considerably more to get weather sealing from other companies) the K-70 is a very solid performer overall. You get in-body image stabilization, which competitors like the Canon T7i and Nikon D5500 lack, along with impressive low light performance and customizable twin dials that allow for easy manual operation. What are the downsides of the K-70? The lens offerings from Pentax are much more limited than Canon or Nikon, although the kit lens included here is serviceable. In addition, the weather sealing adds weight to the camera making it relatively heavy at over 24 ounces, and you don’t get touchscreen functionality (the T7i and D5500 both have touchscreens). 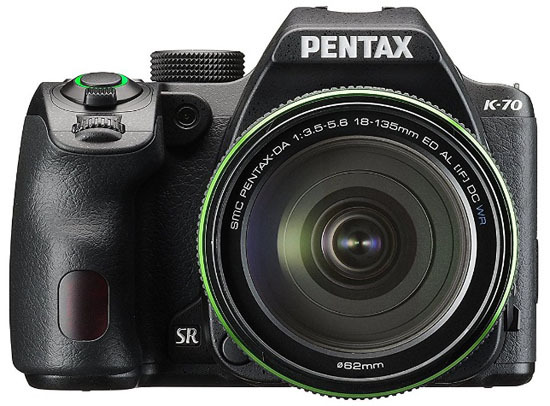 For an even cheaper weather-sealed DSLR from Pentax, see the KS-2. What we like: A great value for a full-frame camera. What we don’t: Less resolution than the Canon 5D Mark IV. 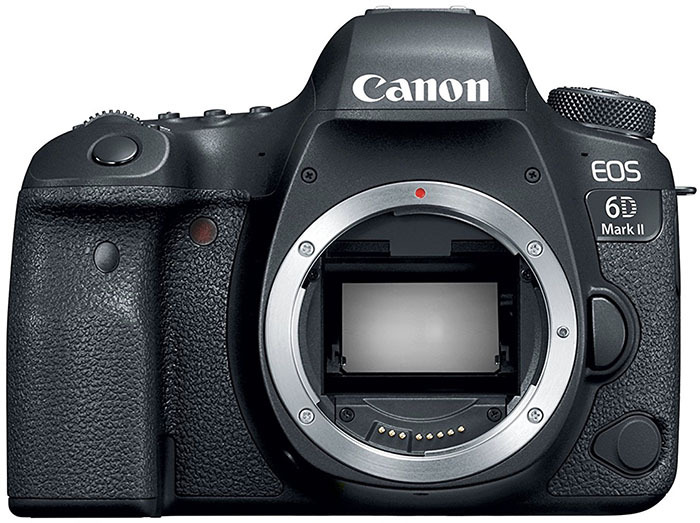 Canon’s top DSLR is the 5D Mark IV at $3,300, but the 6D Mark II is a really nice “budget” alternative. We’ve seen some incredible photos come out of the original 6D, but the Mark II includes a bump in resolution to 26.2 megapixels, a more advanced autofocus system, faster shooting, and touchscreen functionality on the rear LCD. All are solid improvements and the 6D Mark II is a nice value, particularly for still photography (the 5D series and Nikon D850 below are much better for video). Who should buy the Canon 6D Mark II? It’s a great option for those making the jump to a full-frame camera but don’t want to spend up for the 5D Mark IV. As we mentioned above, the stills this camera produces are excellent and many of the limitations are on the video front. Further, it gets your foot in the Canon door, so to speak. You can feel good buying Canon EF (full-frame) lenses, even if you upgrade camera bodies down the road (although you very well may not need to with the 6D Mark II). What we like: The best DSLR on the market of any brand. What we don’t: Heavy and expensive. Similar to the Sony a7R III above, the Nikon D850 is the best camera on the market in its category (in this case, DSLRs). Released last fall, it’s the whole package in terms of image and video quality. You get a massive full-frame image sensor, 45.7 megapixels of resolution, fast and accurate autofocus, 4K video capability, and the full gamut of both manual and automatic controls. If you’re looking for the best of the best, the D850 is your ticket. Keep in mind that the Nikon D850 is the heaviest camera on this list at over 32 ounces, is expensive at nearly $3,300, and certainly is one of the least discreet models for travel (it looks like a professional camera in-hand). In addition, it’s currently pretty darn tough to get. 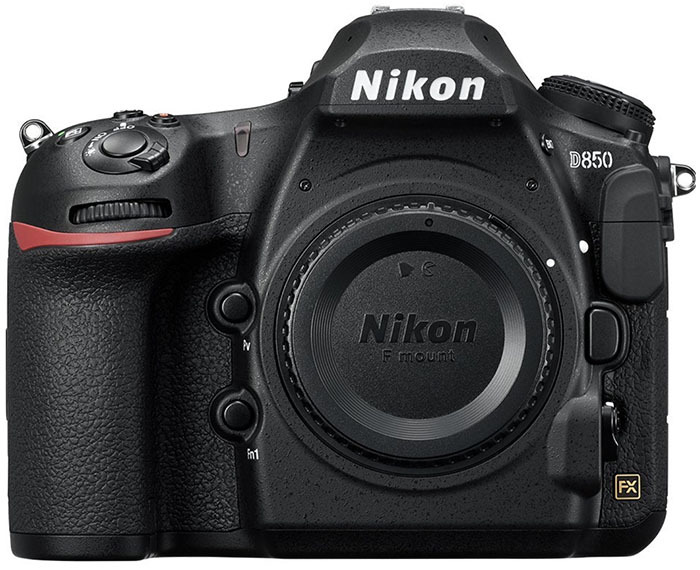 Due to more demand than anticipated, the D850 is backordered at most major retailers 6 months after its initial release. But if you can get your hands on one and don’t mind paying for and carrying it, the D850 is a premium DSLR that should make even the most discerning professionals and enthusiasts happy. What Makes a Great Travel Camera? Point-and-shoots are the simplest type of camera but a very viable option for travel. They truly are pocketable (unlike mirrorless cameras or DSLRs), come with an attached lens, and are fairly economical for the most part. The good news is that point-and-shoots have come a long way in recent years, offering large image sensors, big zoom capability (something the camera on your phone lacks), and features like 4K video and built-in Wi-Fi. In terms of weight, you can expect anything from less than 8 ounces for the Ricoh GR II up to a whopping 29.3 ounces for a superzoom like the Panasonic Lumix FZ1000. Mirrorless interchangeable-lens cameras were built entirely for digital, fitting DSLR-like image sensors into compact bodies (they forego the bulky internal mirror system, which cuts down on size). All things considered, mirrorless is our favorite type of camera for travel, offering outstanding image and video quality in a lightweight package. It’s worth noting that you will need to take lenses into consideration, which add cost and weight. And mirrorless cameras are smaller than DSLRs but won’t fit in your pocket and therefore require extra space in your bag. Our top choice for 2018 is the Fujifilm X-T20, but there are a number of attractive options across price points. Before mirrorless cameras existed, digital SLRs were the only game in town for professionals and enthusiasts. They still are an excellent option for travel, with large sensors, ample features, and the most varied collection of lenses (digital SLRs have been around longer and therefore have more lenses to choose from). It’s true that DSLRs are bulkier than mirrorless cameras, but not by as much as you might think, and particularly when taking lenses into account. DSLRs are also often slightly cheaper than mirrorless cameras, and especially at the entry-level end of the spectrum. The Nikon D3300 at less than $400 with a kit lens is a shining example—you just won’t find that kind of value in mirrorless. Resolution should be a central factor in your camera buying decision. After all, it’s the quality of the photos and videos that matters most. First, take the size of the image sensor into consideration, which is what will collect all of the information (detail and colors) for your photos. Inexpensive point-and-shoots like the Canon SX720 HS have relatively tiny sensors that measure just 28 sq. mm in size, while premium compacts jump up to 1” (116 sq. mm) sensors. Many DSLRs and mirrorless cameras have APS-C sensors that are approximately 366 sq. mm, depending on the brand. And professionals use full-frame cameras with whopping 864 sq. mm of sensor real estate. After that, the megapixel count influences resolution, although it varies much less than sensor size. For reference, we’ve included both sensor size and megapixels in our product specs and comparison table above. 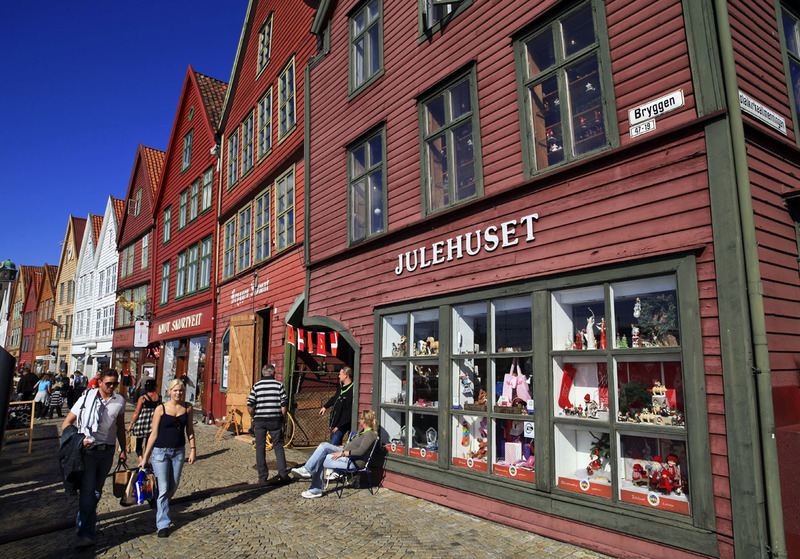 Before you shop, ask yourself how you plan on using your travel photos. If the majority will be online, any camera on the list will do just fine. If you plan on enlarging or printing your photographs or using them professionally, the size of the image sensor, megapixel count, and your lens choice all play an important role in the quality of the photos. Some of my best photos have been taken with small cameras simply because I had them available, but these are factors to consider. You just can’t replicate a booming photo taken with a DSLR or mirrorless camera and a high quality lens. A travel camera should be easily portable: you’ll be lugging it with you on flights, in rental cars, and around your neck while walking. Point-and-shoots are the smallest type of camera, and our top pick, the Panasonic Lumix ZS200 weighs 12 ounces all-in and will easily slide into most pockets. Mirrorless cameras are larger: they are approximately 2/3 the size of a comparable digital SLR and start at 12 ounces for the camera body (the Sony Alpha a6000). They won’t quite fit in a pocket but are easy to grip with one hand and have small cases that are light enough to carry with ease. Digital SLRs are the largest type of camera but there are some nice entry-level options like the Nikon D3300 that still weigh under a pound without a lens. Keep in mind that for both mirrorless cameras and digital SLRs, you’ll need to take into account the bulk and weight of both the camera body and any lenses you will be bringing along. Travel photography involves capturing images in a wide range of circumstances, and sometimes unexpectedly. If you’re buying a point-and-shoot, a camera with a wide zoom range is optimal—this is one of the reasons we favor the Panasonic ZS200 (24-360mm) over the Canon G7 X Mark II (24-100mm). In addition, superzooms have become increasingly popular, which really push the boundaries in terms of zoom range. For example, the Canon SX720 HS has a massive 24-960mm of range while weighing just 9.5 ounces and with a very reasonably $274 price tag. What gives? The image sensor is small and the lens is slow in terms of aperture, both of which are very real trade-offs. Mirrorless cameras and digital SLRs have interchangeable lenses, and most are offered with a kit lens (an 18-55mm, 16-50mm, or something in that range). It’s worth noting that kit lenses will get you out the door and shooting photos at a good price, but their optical quality generally is limited. If you want better sharpness and bokeh, and lower distortion and vignetting, it’s worth spending up for higher-end zooms or primes (more on that in our travel lenses section below). The last thing you want when traveling is to be handicapped by fear of carrying or using your camera. In dense urban areas, for example, it can be uncomfortable and somewhat risky to have an expensive camera and bag of lenses knowing that someone else at your crowded café may be eyeing it. When traveling in small villages in impoverished countries, it can feel awkward and attention grabbing to break out a $3,000 full-frame DSLR (you may wish you had a smaller and more unassuming camera). The point is that you want to be able to to use your camera at all times—it doesn’t do you any good in your hotel room or backpack. Point-and-shoots are most discreet due to their small size—I love that a common thief would likely have no idea that the Sony RX100 V or Ricoh GR II s such a nice camera. Mirrorless cameras generally look less expensive than DSLRs but clearly are the real deal. DSLRs look the most expensive due to their size but that doesn’t at all mean you shouldn’t use one—just take proper precautions to keep it safe. Depending on the type of travel you do, a weather resistant camera may be in order. Generally, we don’t recommend rugged models, which essentially are basic point-and-shoots that have a special casing to make them waterproof, dustproof, shockproof, etc. The truth is that these cameras have small sensors and you pay a lot for the protection. The Olympus TG-5 is one of the leading rugged cameras on the market, but I prefer a cheaper point-and-shoot that offers superior image quality. 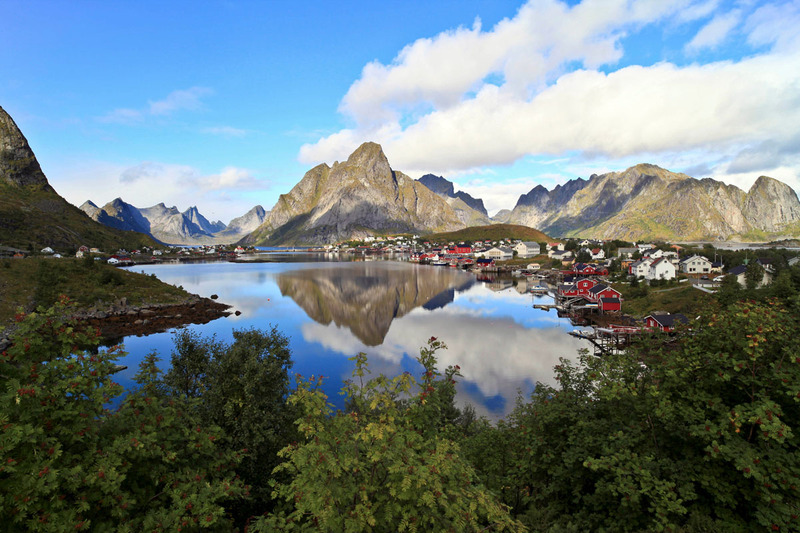 The exception to this rule would be serious outdoor excursions like rafting or long overland travel to remote places where you just don’t want to think about the condition of your camera. Reasonable care, not shooting in wet or dusty weather, and proper storage will protect most cameras just fine. However, some mid-range and high-end cameras are weather resistant and have sealed joints that make them better able to handle the elements. For more information, see our list of weather-sealed DSLRs and weather-sealed mirrorless cameras. Video is a take it or leave it feature: some people love it, while others rarely use it and don’t need to pay extra for the functionality. Even pocket cameras capture 1080p video nowadays, but 4K is becoming much more prevalent (see the new Sony RX100 V and Sony a7R III). 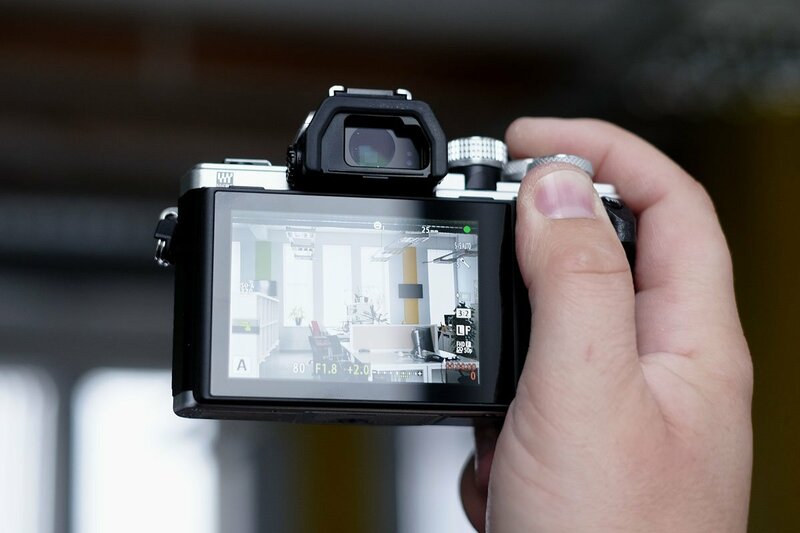 When buying a mirrorless camera or DSLR, features like a flip-out LCD screen are designed for shooting video, as are lenses like Canon’s STM collection. Most cameras shoot decent video, but videographers will want to make that a priority in their buying decision. What about Lenses for Travel? Once you’ve locked down your camera selection, it’s time to start thinking about travel lenses. Point-and-shoots come with an attached lens so there are no choices to be made there, but mirrorless cameras and digital SLRs have interchangeable lenses and the glass you choose can make a huge difference. Both types of cameras are offered with kit lenses that are 18-55mm, 16-50mm, or something in that range. These are decent starter options that get you out of the door and shooting photos, but are middle-of-the-road in terms of image quality. Many people supplement their lens collection at the outset of their camera purchase or sometime after. In terms of lens selection for travel, there are two main routes you can go: 1) A versatile zoom lens that covers most of your shots; or 2) A handful or primes that can be switched out depending on your desired focal length. For either, we think of the heart of the travel photography focal length range as 24-70mm. There are great lenses with those exact focal lengths: the 24-70mm f/2.8 is the classic pro zoom, but it’s more readily available for full-frame cameras than APS-C. The good news is that APS-C prime lenses are reasonably price compared to their full-frame counterparts, so it’s not a huge financial burden to pick up a 35mm or 50mm prime to supplement your kit zoom lens. If you are planning on shooting close-ups of faraway objects or wildlife photography, you’ll want to add a telephoto lens to your collection. Again, these are much less expensive for APS-C cameras than full frame. There also are all-in-one options of the 18-200mm and 18-300mm varieties that cover all of the focal lengths mentioned above, but they are heavy and not as good optically as specialty lenses. We’ve shot with all-in-one lenses many times, but feel that primes or zooms with smaller focal length ranges are the best way to go. For more information, see our lens reviews.